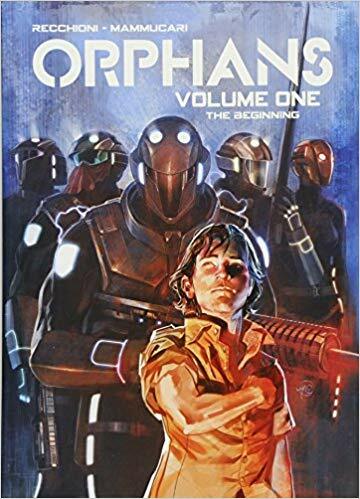 Orphans Volume 1: The Beginning by Roberto Recchioni and Emiliano Mammucari. English translation by Elena Cecchini and Valeria Gobbato. Localization, layout, and editing by Mike Kennedy. 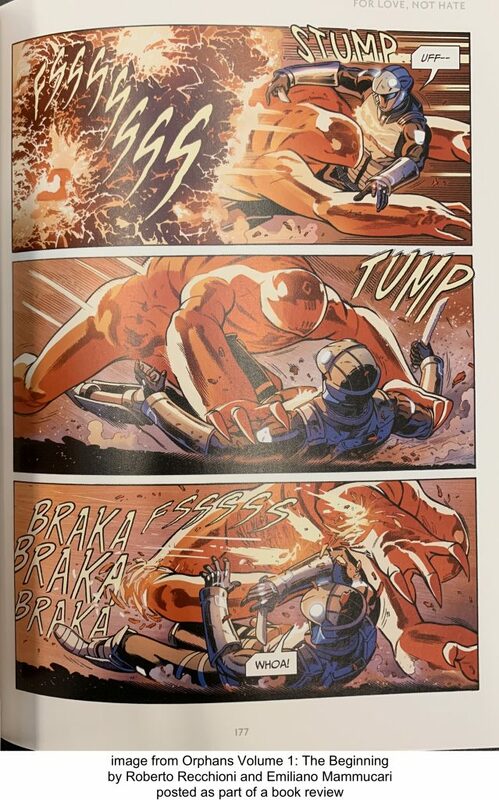 Lion Forge, 2018. 9781942367178. 352pp. After Earth is attacked by an extraterrestrial energy weapon, orphaned children are trained to be soldiers. 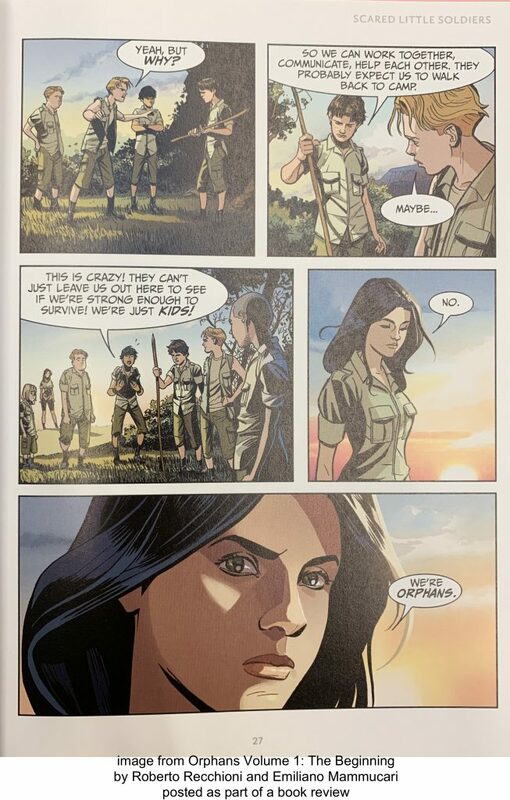 The first step is to see if they can pull together and survive in the wilderness. The second step is to submit them to brutal and unforgiving training. The third step is to turn them into superheroes. A montage of training flashbacks are interspersed with an attack on an alien world in the present-day, when the kids are in their early 20s. There is, as you’d imagine, a lot of violence. I’m sure you’re already thinking of a lot of things this recalls: Starship Troopers, Ender’s Game, and (if you’re as old as me) so many less successful comic series and direct to VHS movies of the 1980s. This graphic novel is entertaining and readable, and the aliens have a compelling design. The action is easy to follow and I never felt bogged down trying to sort out details as everything is right on the page. This was exactly the light, fast-paced read I needed around the holidays.